Smoked salmon is a favourite treat of mine and it really brightens up a salad. 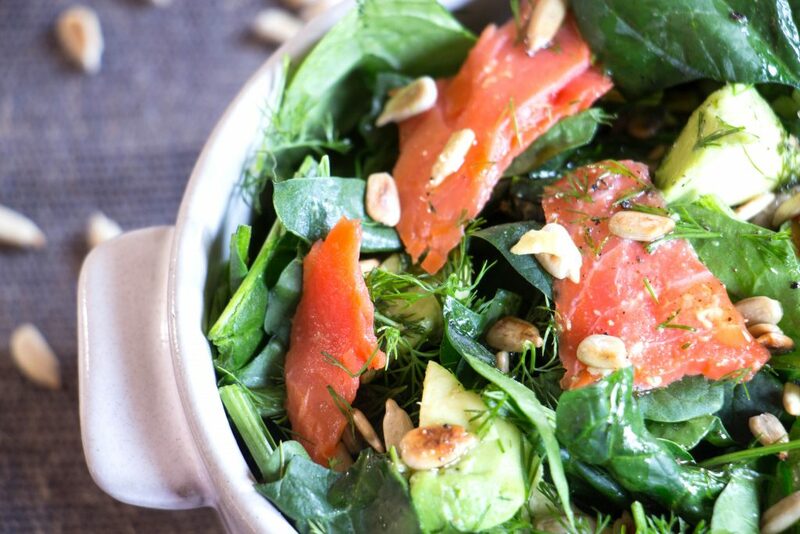 The big flavours in this salad are the salmon, creamy avocado and zesty lemon dressing, with a hint of sweetness from the dill. There’s also a good mixture of different textures in there, with the toasted sunflower seeds and the crunchy spinach. I like to make this salad the evening before I want to eat it, then Matt and I will both take it for lunch the following day. It’s got enough energy to keep you going all afternoon and contains a great amount of protein and fibre whilst still being super low in carbs – so basically it’s the perfect healthy lunch! Start by placing a skillet on a medium-high heat and throwing in the sunflower seeds. Toast them for around 40 seconds-1 minute, until they start to brown a little, then remove from the heat and leave to cool. 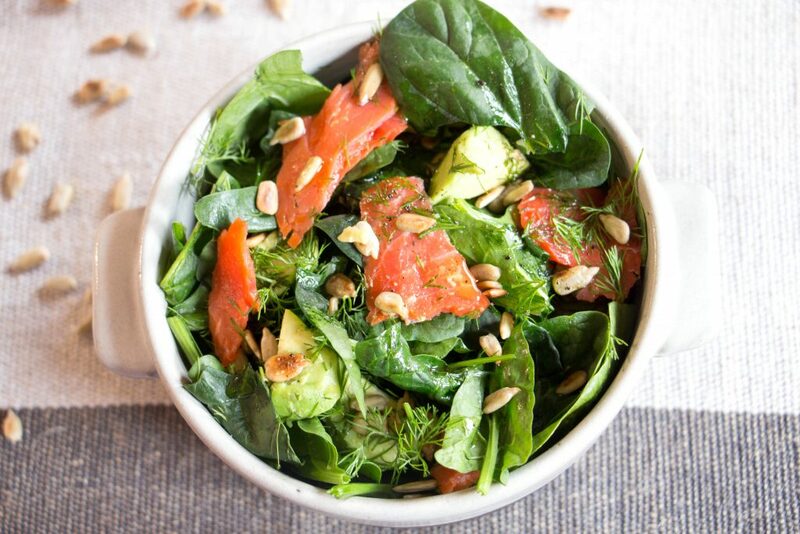 In a large bowl, throw in the avocado, smoked salmon, spinach, dill and sunflower seeds (once they have cooled). Give the salad a good mix.. In a small jug, pour in the olive oil, lemon juice and black pepper. That's your salad dressing done! 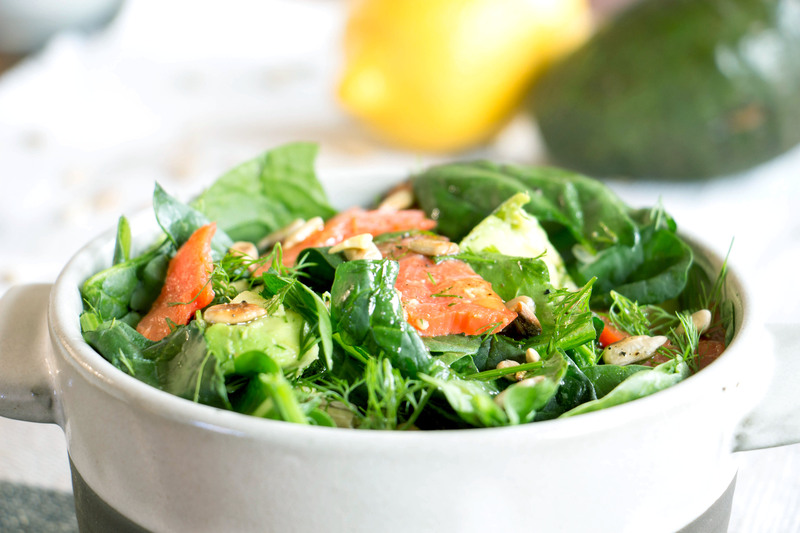 Serve the salad in a large salad bowl and drizzle over as much salad dressing as you want!